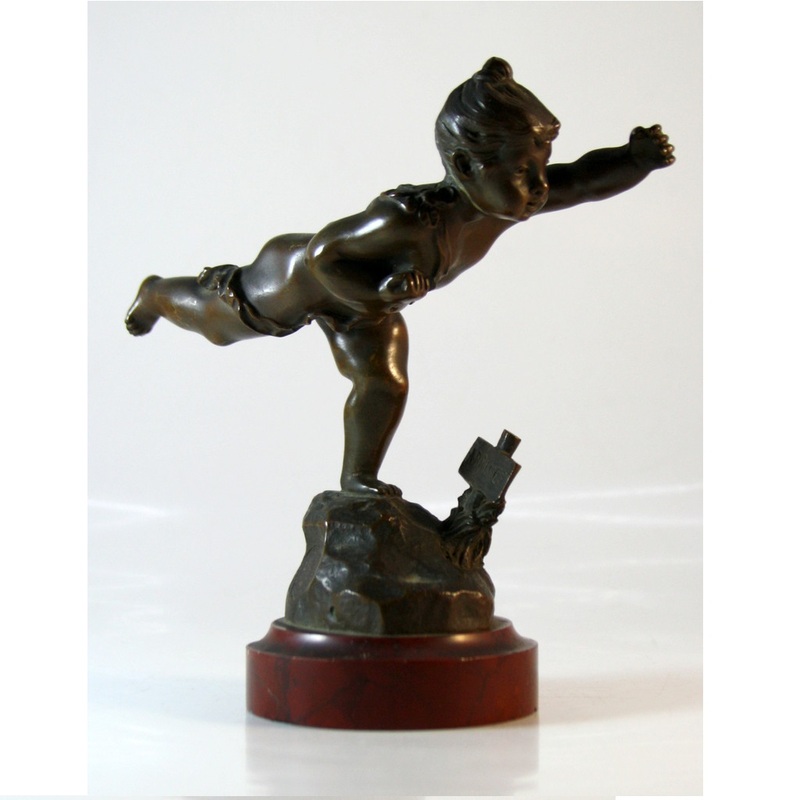 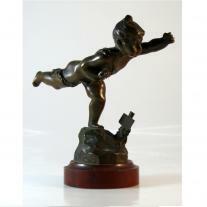 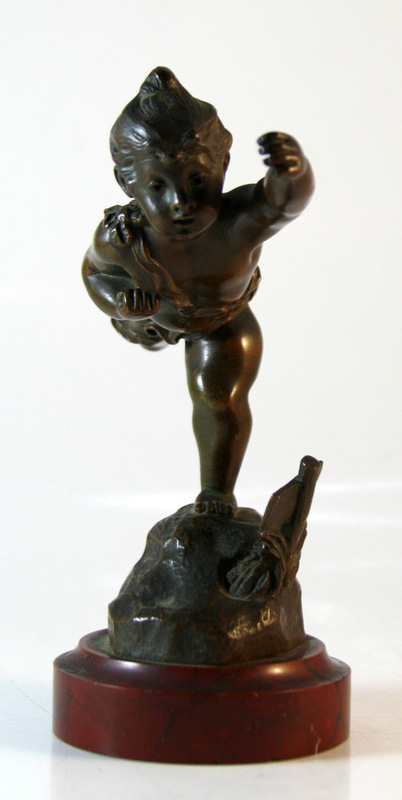 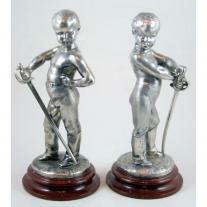 An art nouveau bronze sculpture of a young boy. 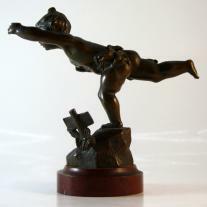 Belgium, Circa 1900. 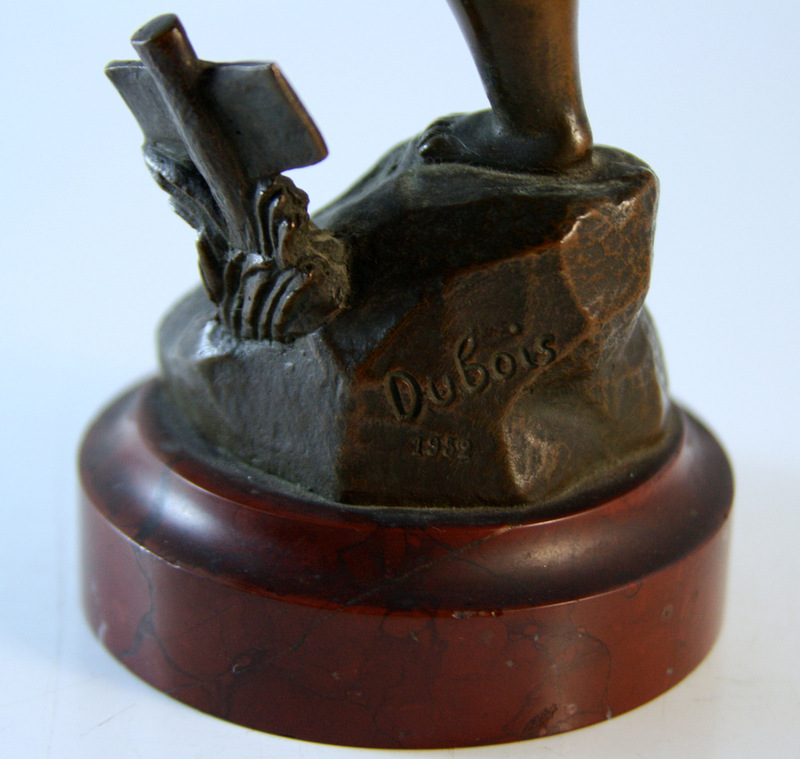 Signed "Dubois". 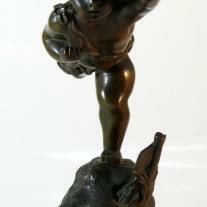 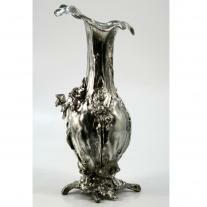 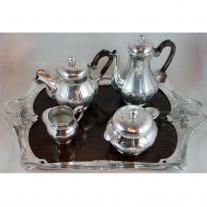 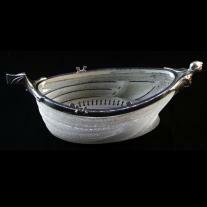 Sealed " Bronze garanti au titre, paris" "L. V. depose"
In very good conditions according to the age. 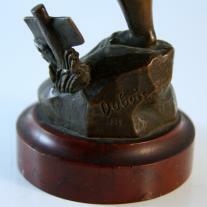 Part of the patina has gone within the time.